This audio version of the nation's most popular annual Bible commentary is designed to help teachers and students know, understand, and apply the Bible. 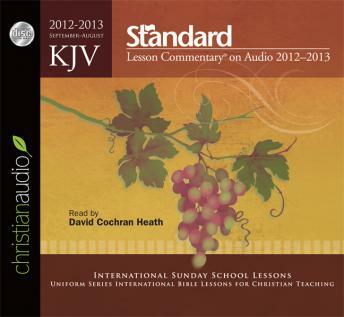 Based on the KJV Standard Lesson Commentary, these audio CDs provide a condensed, 15-minute version of each week's lesson. Teachers and students alike can prepare for or review the lessons to increase their understanding of the Bible truths presented in each session. Enhance your weekly preparation and presentation of each lesson by downloading supplemental resources found at standardlesson.com. David Cochran Heath has a background in live communication, and has a heart for putting good books into audio format. He learned the power of stories from his father who was a pastor, a wrighter, and a missionary in the Phillippines.